The mission of the Greater Omaha Young Professionals is to serve as a catalyst organization to retain and attract young professionals through engagement, opportunity, and advocacy. Every year they put on a daylong conference in downtown Omaha. 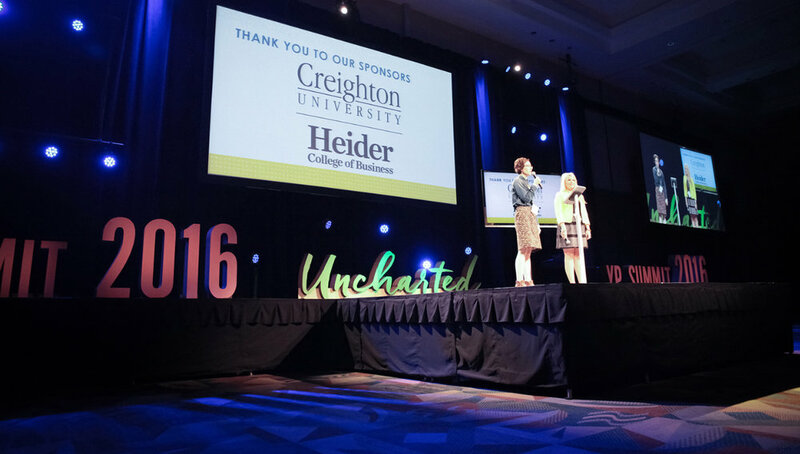 In 2016, it’s an uncharted time for Young Professionals in the Greater Omaha region. We are gaining a seat at the table, starting business ventures, and have a louder voice in the community. The 2016 Summit helped YPs discover themselves and chart their course. The theme for the 2015 YP Summit, the 10th anniversary of the event, was S.T.E.A.M. Attendees were invited to Develop the Core by looking at ways to uncover personal strengths, to engage the community together, and to help chart the path for what’s next for Greater Omaha. This was the first year a website was created for the event. It was designed and developed to introduce the vision and get people to buy tickets first and foremost. The rest of the content centered around the national speakers and local change makers. There’s a fairly comprehensive agenda, a full listing of community sponsors, and the latest social activity with the ability to connect through the YP channels. The theme for the 2014 YP Summit was all about empowerment. Collaborating across disciplines, getting things done, and moving forward, YPs are making the change they want to see in Omaha. And they’re channeling their inner Superhero to empower their community. The theme for the 2013 YP Summit was personal transformation. The commitment it takes to do what you love, to activate your community, and to make change happen, despite the risks and the failures that inevitably occur. It was a very positive event for the young professionals in the city who heard from John Legend, Adam Braun, and a variety of energetic change makers doing great things in the city.